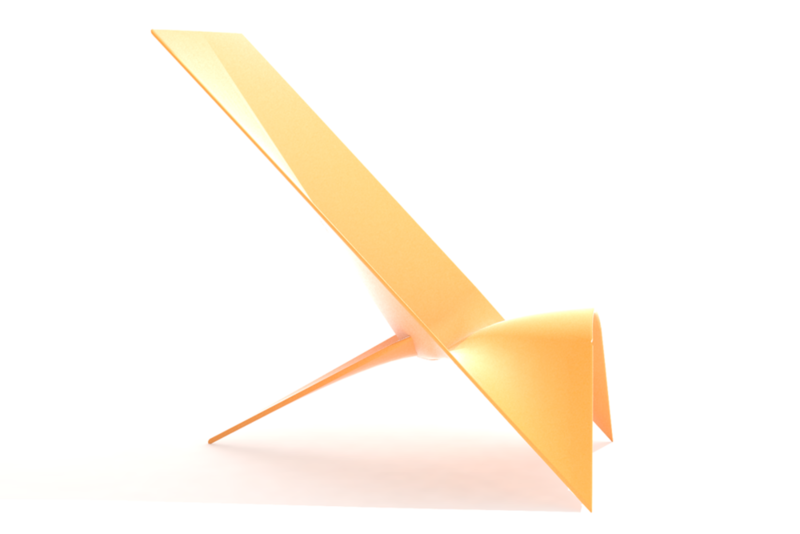 Inspired by the work of structural engineer, Felix Candela, the leaning chair reimagines Candela's thin concrete folded umbrellas in fiber-reinforced plastic chairs which lean against the wall for support. The thin material and single surface design allows for easy storage as they can be simply stacked. A secondary option which includes a third leg creates a chair which can be independent of the wall.